The online class sale that began last week is bouncing along. It will be running for the next little while, so go sign up for an online class of mine while the sale prices are available! Four out of the five classes are reduced five dollars each. So the current online class prices are- Herb Magick-$25.00. Psychic Protection & The Paranormal-$25.00. The Elements of Witchcraft- $35.00 and Advanced Natural Magick-$35.00. 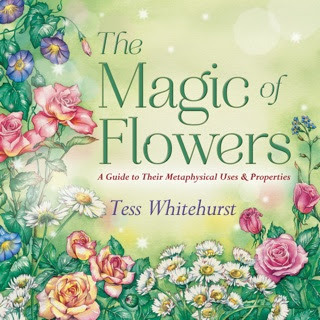 In other news, recently I was able to get an advance look at my witch-friend Tess Whitehurst's upcoming book, The Magic of Flowers. 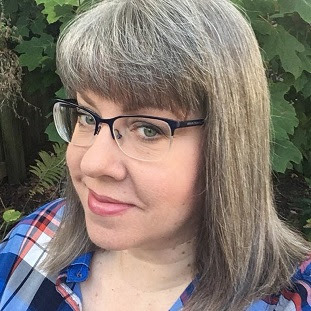 Her newest book will be released in June this year and you are in for a treat. I was delighted to give Tess a blurb for this new book and its wonderful. Here is the cover art and the publisher's description. "From African daisy to ylang-ylang and 76 others in between, Tess Whitehurst’s The Magic of Flowers introduces you to the holistic and healing benefits of the most magical flowers, flower essences, floral essential oils, and more. This one-of-a-kind, comprehensive, and convenient guide explores the subtle and whimsical realm of flower magic. As a manifestation of divine beauty and wisdom, each flower offers you unique magical and spiritual ways to connect with it. Enjoy healing, spiritual growth, and the life conditions you desire by using flowers for aromatherapy, charms and rituals, herbal potions, divine alignment, and more. If you’ve always wanted to commune with flowers in holistic ways, this is the book for you." Next, is my friend and coven-sister, Ember Grant's second book. I was able to get a look at this book when I helped her put together the list of terms for the index. She fed me lunch and wine "may" have been involved, but we had a great time doing the index- why not make a several hour long chore- into something fun? I started doing that years ago when it came time to do the index in my own books. (Call in my coven sisters- make margaritas and have them help me pull the index together on the book.) And so I was delighted to help a friend do the same. Ember has an affinity with crystals and magick that has always inspired me, and made me a bit envious. She is like a walking encyclopedia when it comes to crystals and stones. I remember after her first book Magical Candle Crafting was released I looked at her and said. "Well what are you going to write for your second book? Chop, chop, girlfiend let's go!" Obviously my challenge was accepted. This magickal book will also be released in June of 2013 by Llewellyn Worldwide. Here is her cover art and the publisher's description. "Take your magical work with crystals to a new level with this hands-on guide packed with spells, rituals, and methods for using stones in creative ways. Wiccan author Ember Grant explores crystal magic in depth in this practical manual. Learn about the types of crystals, rocks, and gemstones, and get tips on purchasing, cleansing, charging, and storing them. Explore methods of magic such as crystal grids and numerology, quartz points and clusters, metals and alchemy, glass and sand magic, magical jewelry, elixirs, personal power stones, meditation, and divination. Find dozens of spells that you can use for home and garden, health, love, problem solving, dreams, astral travel, and much more. Practice the exercises to expand your knowledge, and copy the grids to create your own layouts. Extensive appendices of correspondences and a glossary make this guide useful for beginners as well." I am so excited to add Ember's new crystal book to my collection! It's about time for a new book on crystal spells and magick. For more information about Ember, and her books, writing and photography please visit her website at www.embergrant.com . Oh and YES you may pre-order BOTH of these books on amazon.com or through Llewellyn's website at www.llewellyn.com Both of the books will be available of Kindle as well this summer. Well, that's it from here. I need to get back to work on my own book. Book #15 is rolling along and I hope to (nope, I WILL) finish up another chapter this week. My own deadline is getting closer and with Convocation just a month and a half away I need to be about finished before I head up to Detroit. The theme for this year's Convocation is "The Sun" card and "Illumination". 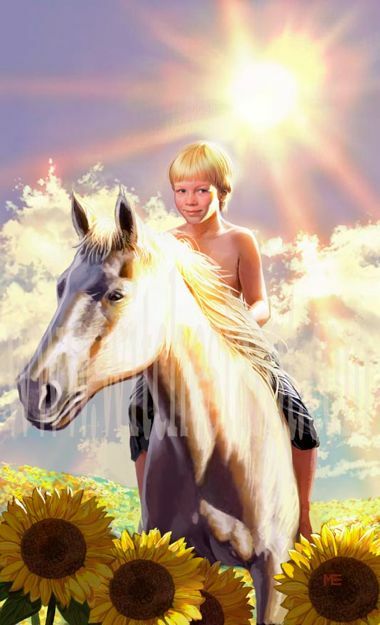 So just for fun here is the divine Sun Child and "The Sun" card from my deck Witches Tarot. I am so excited to know these books are coming soon (yous, too, Ellen... NO PRESSURE! ): they look like one of those really juicy, all-encompassing texts you can reference again and again- cant wait for Summer! 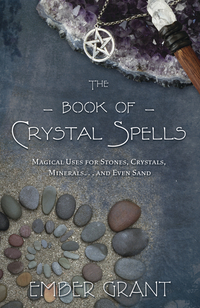 I have a feeling I will be picking up the crystal spells book as soon as it comes out. Brilliant! added both to my wish list! I like Tess Whitehurst Magickal Housekeeping book. So the flowers book will be really interesting. REALLY excited about Embers book though, as crystals have always been a calling even if I took a break in collecting them for a while and am just now over the past year getting back into it! As soon as these come out I'll be purchasing...Probably the kindle versions as they save trees and space on my poor bookshelves!